Adam has 15 + years of coaching experience. He works with intermediate - professional athletes. 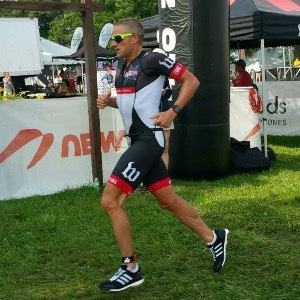 He himself has been to Kona 9 times and raced all over the world and thus also has personal experience in addition to years of coaching experience and coaching education. He is passionate at helping athletes who are dedicated and hard working achieve their goals. He dedicates himself to continuously growing his own knowledge to evolve as a coach and be a better mentor to athletes. I like to work with athletes who are invested and committed to achieving their goals. Success. Coach Adam Zucco has been notified of your message. To hire Adam Zucco as your coach, select the coaching service that is right for you.